WebAssembly: What Is It And Why Should You Care? If you keep up with the field of web development, you may have heard of WebAssembly. 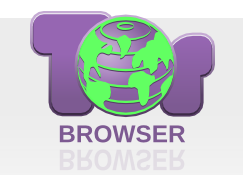 A relatively new kid on the block, it was announced in 2015, and managed to garner standardised support from all major browsers by 2017 – an impressive feat. However, it’s only more recently that the developer community has started to catch up with adoption and support. So, what is it? What use case is so compelling that causes such quick browser adoption? This post aims to explain the need for WebAssembly, a conceptual overview of the technical side, as well as a small hands-on example for context. Have you ever wondered how many, for example, Commodore 64s it would take to equal the processing power in your current PC? This site might not really answer that, but it does show that your machine can easily duplicate all the old 8-bit computers from Commodore, Sinclair, Acorn, and others. By our count, there are 86 emulators on the page, although many of those are a host machine running a particular application such as Forth or Digger. If you are in the US, you might not recognize all the references to the KC85, this was an East German computer based on a Z80 clone. Very few of these were apparently available for personal purchase, but they were very popular in schools and industry. These were made by Robotron, and there are some other Robotron models on the page, too. It’s a simple fact that most programs created for the personal computer involve the same methods of interaction, almost regardless of purpose. Word processors, graphics utilities, even games – the vast majority of interaction is performed through a keyboard and mouse. However, sometimes it can be fun to experiment with alternative technologies for users to interact with code – Paper Programs is an exciting way to do just that. It’s a system that creates a very tactile way of interacting with a program – by moving the page around or placing different pages next to each other, programs can interact in various ways. The system is setup for collaboration as well, allowing users to edit code directly in the browser. The project reminds us of earlier works on DIY multitouch screens, but with a greater focus on direct engagement with the underlying code. What other unique ways exist to interact with code? Let us know in the comments. Forth has a strong following among embedded developers. There are a couple of reasons for that. Almost any computer can run Forth, even very small CPUs that would be a poor candidate for running programs written in C, much less host a full-blown development environment. At its core, Forth is very simple. Parse a word, look the word up in a dictionary. The dictionary either points to some machine language code or some more Forth words. Arguments and other things are generally carried on a stack. A lot of higher-level Forth constructs can be expressed in Forth, so if your Forth system reaches a certain level of maturity, it can suddenly become very powerful if you have enough memory to absorb those definitions. If you want to experiment with Forth, you probably want to start learning it on a PC. There are several you can install, including gForth (the GNU offering). But sometimes that’s a barrier to have to install some complex software just to kick the tires on a system. Considering all of the projects the Raspberry Pi is used for now, the fact that it was originally envisioned to be an educational tool is sometimes forgotten. One of the tools commonly available with it is Scratch, a programming language that is easy to learn and can be seen as a gateway into other computer science realms. Building on this principle, MIT has come up with a new block-based educational tool called BlocksCAD. BlocksCAD is essentially Scratch combined with OpenSCAD and allows the user to use blocks (similar to Scratch) to build a 3D model. The interface is fairly intuitive, and with some practice even complex shapes can be created using the tools available. Also, everything runs in a browser like the 3D modeling tool we featured a few days ago, so there isn’t anything to download or install. The key to this project (like the key to Scratch) is that the user isn’t bogged down by syntax, which is often one of the largest hurdles for anyone who is just starting to learn to program. Since it’s possible to avoid syntax but still develop 3D models, this new tool should help anyone interested in the field of 3D modeling or CAD get a start without getting scared away too easily. Of course, if you do end up deep in the field of computer science and want to learn more about this project, the developers have opened up the source code as well. Thanks for the tip, [Matt]! We all like to think we’re unique, but when it comes to remaining anonymous online that’s probably not such a good idea. By now, it’s common knowledge that advertising firms, three-letter agencies, and who-knows-who-else want to know what websites you’re visiting and how often. Persistent tracking cookies, third-party cookies, and “like” buttons keep tabs on you at all times. For whatever reason, you might want to browse anonymously and try to plug some of the obvious sources of identity leakage. The EFF and their Panopticlick project have bad news for you. The idea behind Panopticlick is simple: to try to figure out how identifiable you are even if you’re not accepting cookies, or if you’ve disabled Flash, or if you’re using “secure” browsers. To create a fingerprint of your browser, Panopticlick takes all the other little bits of identifying information that your browser gives up, and tries to piece them together. For a full treatment of the project, see this paper (PDF). The takeaway from the project is that the information your browser gives up to servers can, without any cookies, specifically identify you. For instance, a server can query which plugins your browser supports, and if you’ve installed anything a tiny bit out of the ordinary, you’re fingerprinted. Your browser’s User Agent strings are often over-specific and tell which browser sub-sub-sub version you’re running on which OS platform. 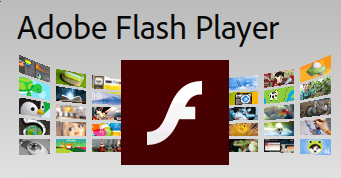 If you’re running Flash, it can report back which fonts you’ve got installed on your system. Any of these can be easily as rare as one-in-a-million. Combining them together (unless they’re all highly correlated) can fingerprint you uniquely. You can’t necessarily win. If you disable Flash, the remote site doesn’t get your font list, but since only one in five browsers runs with Flash disabled, you’re still giving up two bits of information. If you run a “privacy-enhancing” niche browser, your chances of leaving a unique fingerprint go through the roof unless you’re also forging the User Agent strings. I ran the Panopticlick experiment twice, once with a Firefox browser and once with an obscure browser that I actually use most of the time (dwb). Firefox runs a Flash blocker standard, so they didn’t get my font list. But still, the combination of browser plugins and a relatively new Firefox on Linux alone made me unique. It was even worse for the obscure browser test. Only one in 1.4 million hits use dwb, so that alone was bad news. I also use a 4:3 aspect-ratio monitor, with 1280×1024 pixels at 24-bit color depth, which is apparently a one-in-twenty-four occurrence. Who knew? If you’re interested in online anonymity, using something like Tor to obscure your IP address and disabling cookies is a good start. But Panopticlick points out that it may not be enough. You can never use too many layers of tinfoil when making your hat. Try it out, and let us know in the comments how you fare. Some projects that we build fulfill a genuine need for a new piece of hardware or software that will make life easier or fix a common problem. Other projects, on the other hand, we do just because it’s possible to do. [Gilchrist] has finished work on a project that fits squarely in the second category: a web browser that runs exclusively on an Arduino Uno with an ethernet shield. The Arduino can serve plain-text web pages to an attached LCD and can follow hyperlinks. User input is handled by a small joystick, but the impressive part of the build is on the software side. The Arduino only has 2KB of RAM to handle web pages, and the required libraries take up 20KB of memory, leaving only about 12 KB for the HTML parser/renderer and the LCD renderer. The Arduino browser is a work in progress, and [Gilchrist] mentions that goals for the project include more robustness to handle poor HTML (the Hackaday retro edition loads flawlessly though), a terminal, and WiFi capabilities. To that end, maybe a good solution would be using the new ESP8266 chip to keep things small and inexpensive?